Over his time in Wangaratta Andrew, or Bettsy as he prefers, has carved out a niche for himself with the horse clients. He is a rare sight at the clinic these days and often jokes he spends all his time up the valley sleeping under a tree. Unfortunately for Andrew this isn't true, with the reality being that he is usually racing about in his car from one horse call to the next. He and Graeme have been the driving force in the last few years to get the Wangaratta Equine hospital concept off the ground. Andrew's particular interests include Equine reproduction and Surgery and sleeping under trees when there is time. Andrew is now the sole owner of the Wangaratta Equine Hospital and Warby St Veterinary Hospital after Graeme Blanch's retirement at the end of 2014. Like a lot of vets Tim grew up with a vet for a father and the requisite anaesthetised horse in the backyard from time to time. With a childhood like that it is little wonder of the direction his professional life has taken. Tim graduated from the University of Sydney in 2004 and has been working in Wangaratta since. He is particularly interested in the treatment of colic and lacerated legs. Kirri joined the practice as a new graduate from the University of Adelaide in January 2015. 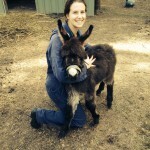 She graduated from the DVM program in 2014 as part of the second class to graduate from their new veterinary program. Kirri is enjoying the variety that mixed practice veterinary work provides, but particularly the equine caseload. Kirri grew up in the Adelaide hills and enjoys horse riding and Netball in her spare time. Please make Kirri welcome next time you see her. Linda graduated in 2004 from the University of Melbourne. Linda has many years experience working in private practice and she has worked in the rural remote towns of Walwa, Tennant Creek and Corryong. Linda has a special interest in remote indigenous community dog health programs, and international animal health projects in developing countries. Please welcome Linda on your next visit to the Equine Hospital. We're delighted to introduce our new vet, Dr Jo, who commenced on 4th December 2017. 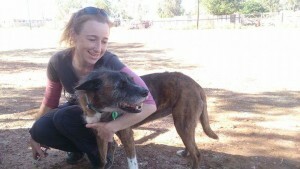 Jo has worked in a variety of settings across Victoria and Western Australia, including mixed practice, shelter medicine, veterinary nutrition, and polo cross vetting. We feel very lucky to have her join the team. Be sure to give her a warm welcome next time you're in!